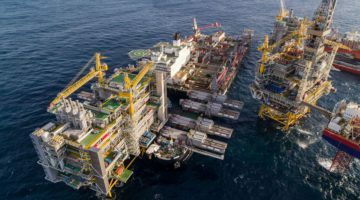 Maersk Supply Service has confirmed that it is laying up two more anchor handlers in response to the abysmal offshore oil and gas market. The two vessels to be laid up are the 282 ton bollard pull A-type AHTS’ Maersk Advancer and Maersk Assister, joining the already-laid up Maersk Shipper and Maersk Tackler. “We are laying up to more anchor handlers Maersk Advancer and Mærsk Assister. They will be laid up in Invergordon together with the other two anchor handlers we have laid up already, Maersk Shipper and Maersk Tackler. We are doing this because we can see that supply is presently bigger than demand leading to very unattractive dayrates,” said Maersk Supply Service Chief Commercial and Strategy Officier, Søren Karas. “We are monitoring the situation closely and we cannot rule out the possibility of more lay-ups,” Karas added. The lay ups add to the growing list of cuts seen throughout the offshore oil and gas market in response to the crash in oil prices.